For many of us, watching this year’s Olympics will be thrilling and perhaps even motivating. Who doesn’t wonder what it feels like to go speeding down a mountain or flying through the air when you watch the Winter Olympics? While your “flying” days may be behind you, you can still feel the thrill of what athletic competition is like. Over at the website Slowpoke Divas, founder Bonnie Parrish-Kell has created a website for women who are not lifelong athletes and perhaps not even in top-notch physical shape, but still want to embrace their “inner athlete” as they get older. 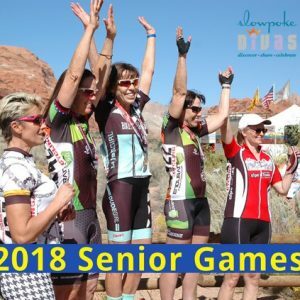 For some inspiration, you may also want to check out the website for the National Senior Games Association which is gearing up for the next set of senior “olympics” to be held in New Mexico in 2019. Or check out what 101-year-old Man Kaur of India has accomplished since she started taking up running and sprinting at the age of 93. You can even catch a glimpse of her racing by Clicking Here. Finally, for those with less lofty ambitions, but still the desire to keep in shape, do you know about Silver Sneakers? It’s a free fitness program that matches seniors who are enrolled in certain Medicare Advantage programs with local gyms in their neighborhoods. You can find out if you’re eligible by going on their website Here.